In the midst of last season, former Blackhawks Head Coach Dennis Savard made an infamous rant where he called on his players to specifically be “committed to the Indian.” ”They’ve got to commit to the Indian,” Savard fumed. ”If they don’t want to commit to the Indian, let’s go upstairs and we’ll get ’em out of here.” Of course, a little over two weeks ago we learned that the Indian was not committed to Savard. On October 16th, Savard with a record of 1-2-1, was dismissed. In 147 games as Hawks coach Savard posted a 65-66-16 record. He was replaced by Joel Quenneville, former coach of the Colorado Avalanche, and scout for the organization. 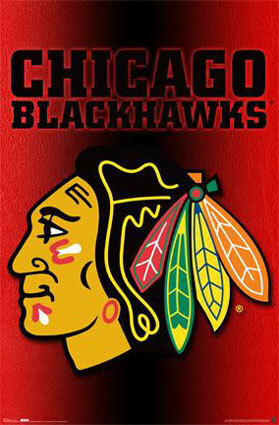 Under Quenneville the Hawks are 2-1-2 heading into tonight’s matchup with the Dallas Stars.